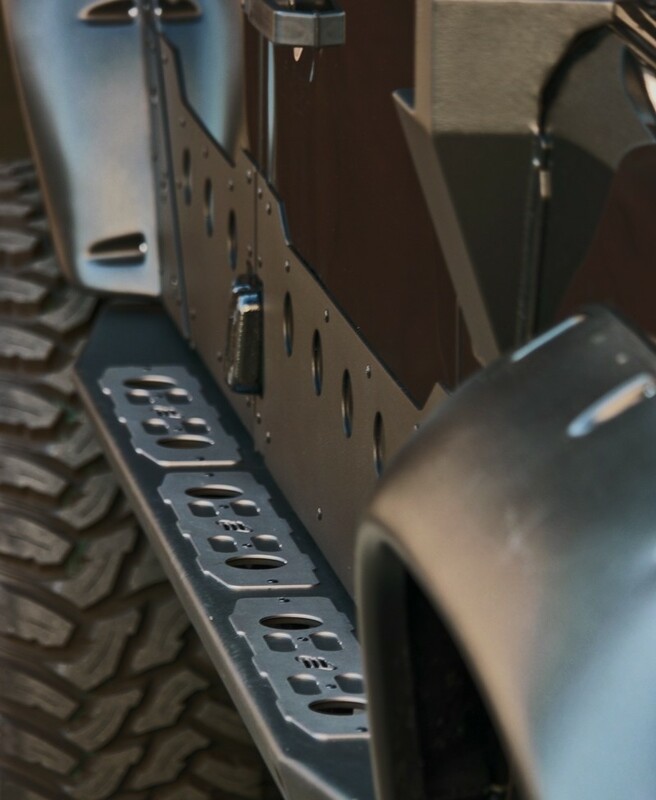 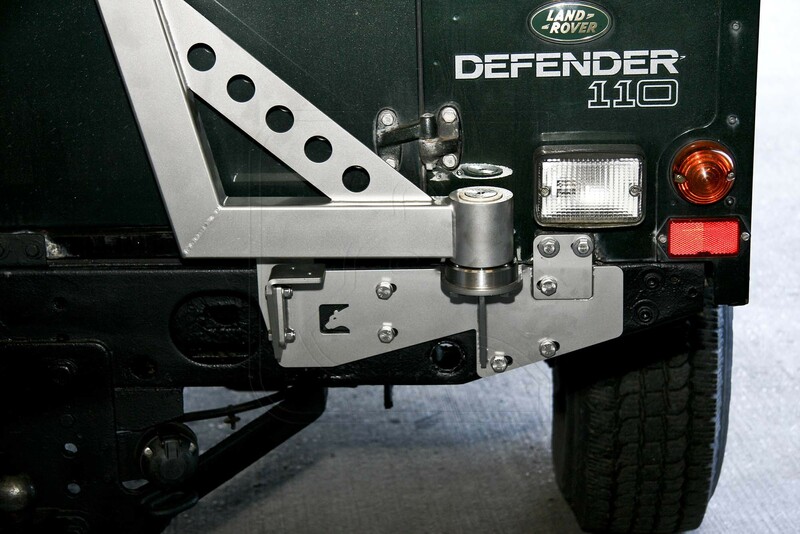 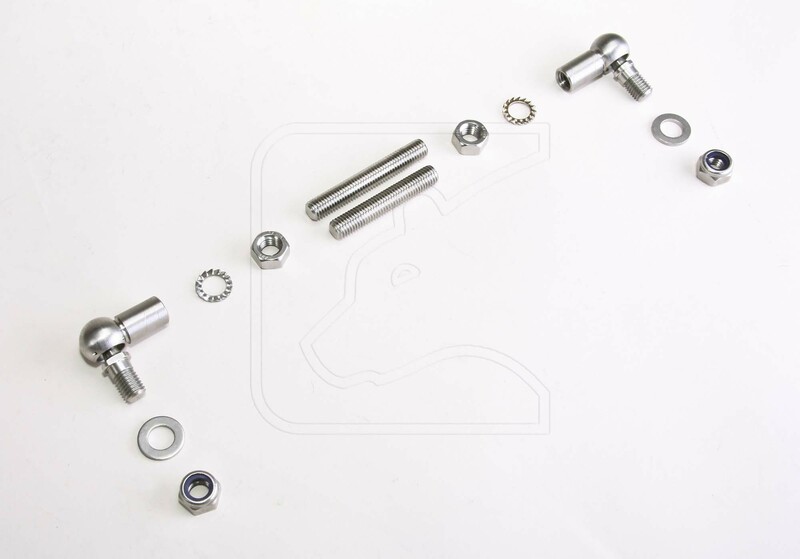 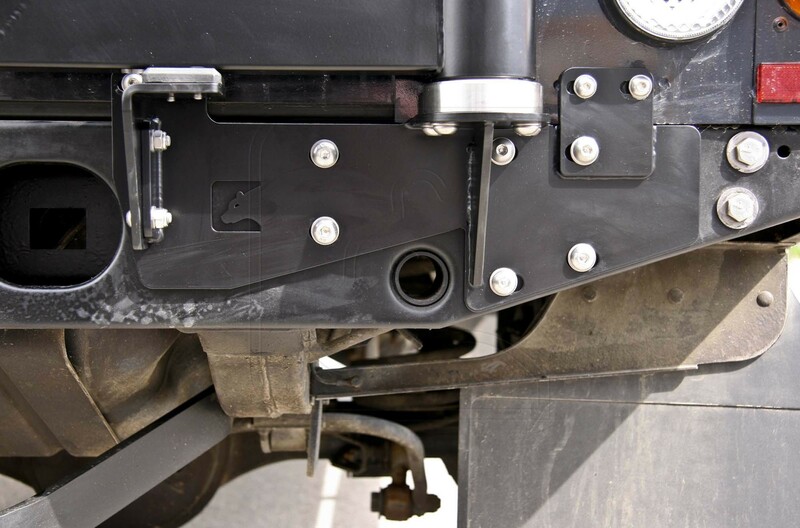 This spare wheel carrier is made of stainless steel and fits Land Rover Defender station wagon and hard top. 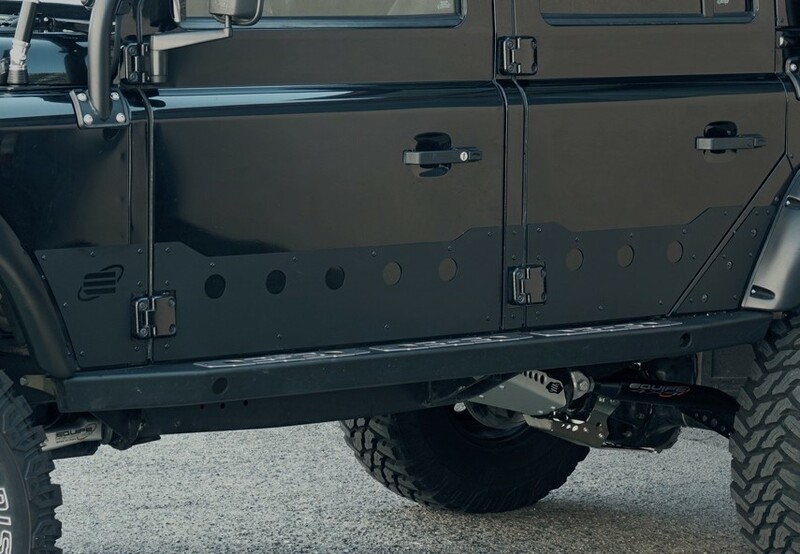 The rear door of the Land Rover Defender can’t cope with the weight of the spare wheel for long. 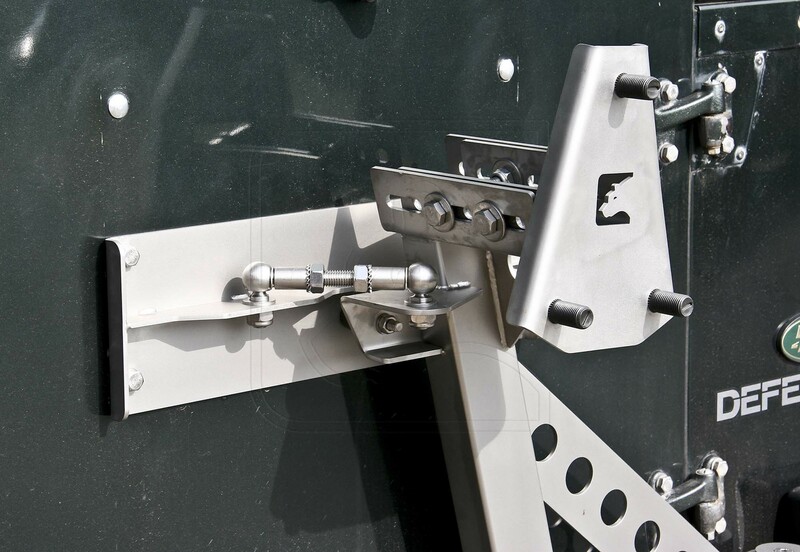 After 5 years or 50,000 km, depending on the stress, first cracks on the door frame start to form. 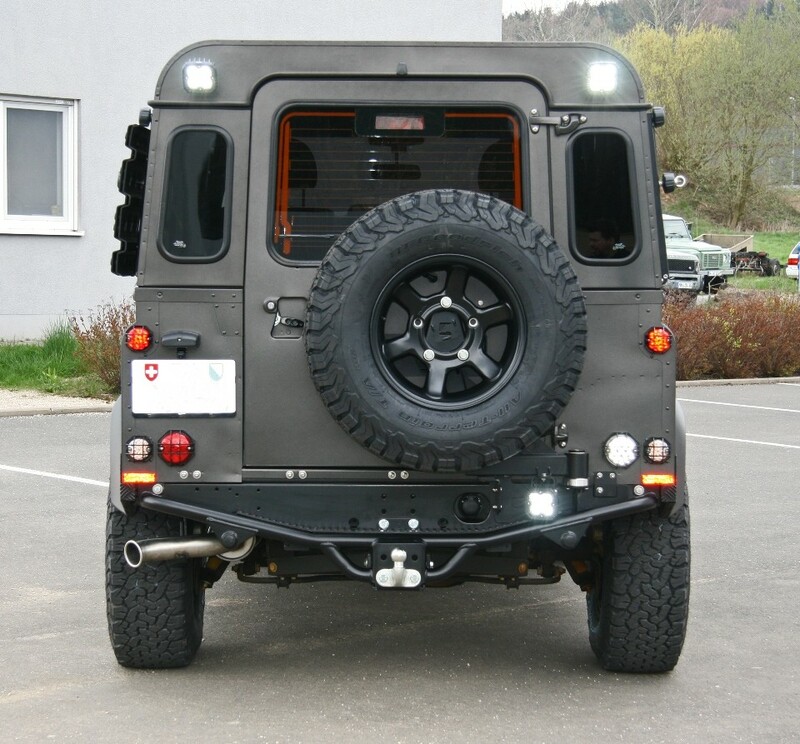 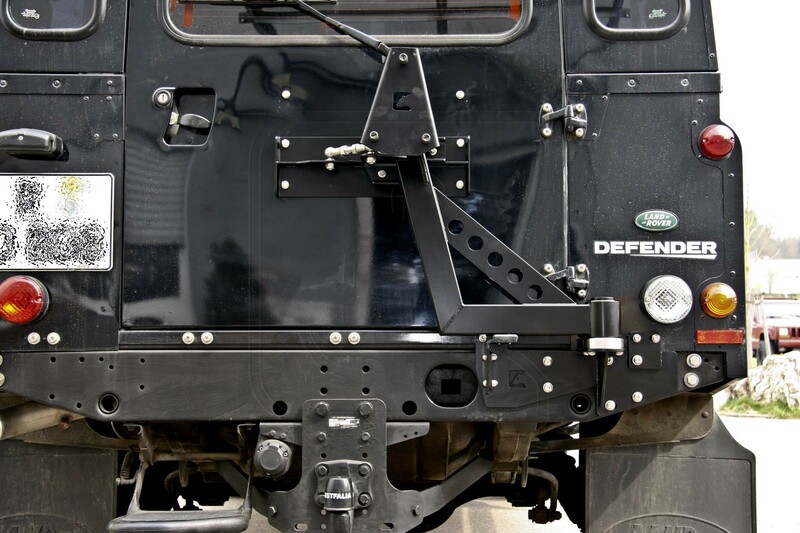 You have two choices to solve this problem; either the spare wheel will be fitted to the bonnet, unfortunately not possible for TD4 from 2007, or you fit this spare wheel carrier to the rear of your Defender. 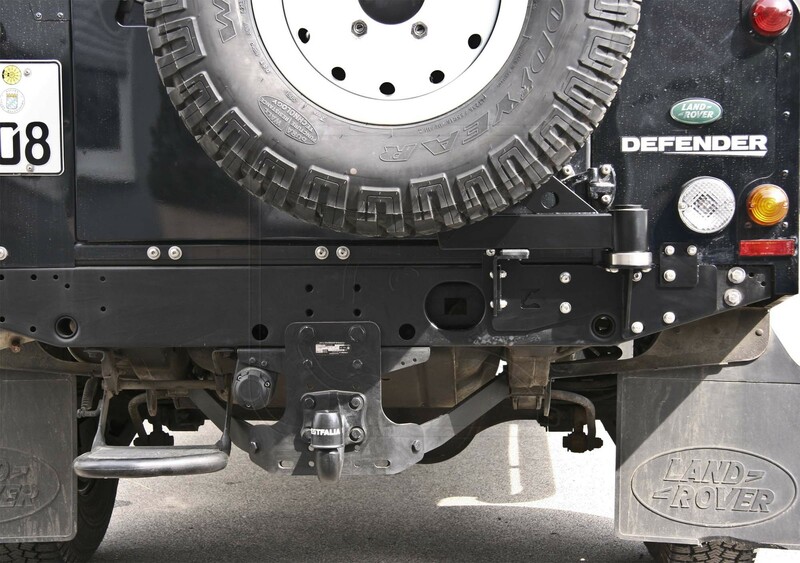 This carrier relieves the rear door completely from the weight and it sways when you open the door. 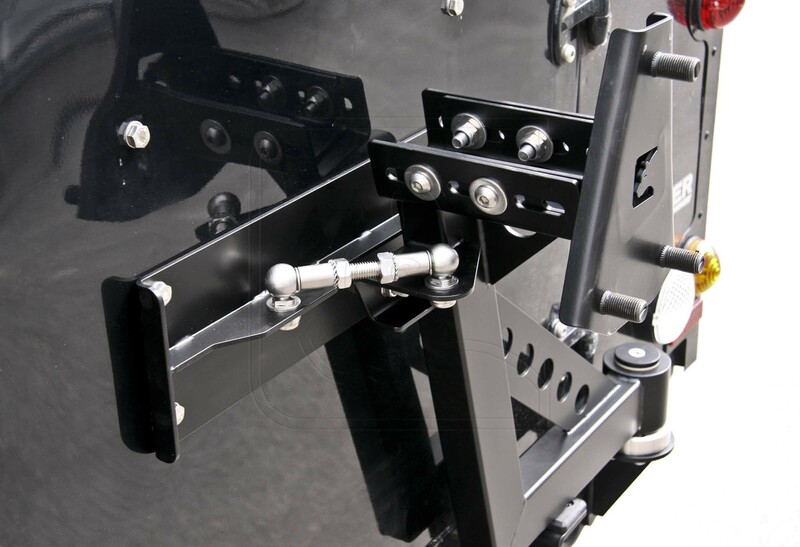 This spare wheel carrier has been full-scale tested and combines easy fitting with high load-carrying capacity and easy handling.